Madefire, who debuted last year at San Diego Comic Con International, will bring a whole new set of properties to their motion books later this week when they debut the first Star Trek, My Little Pony and Transformers motion comics at this year's show as part of their newly-announced relationship with IDW Publishing. No word yet on whether the Star Trek content will feature lens flares. "Madefire has created some amazing original motion books and animation tools," said Jeff Webber, IDW’s VP of Digital Publishing. "They’ve taken everything they’ve learned and developed over the past year and applied it to creating new experiences with some of our top comic brands. 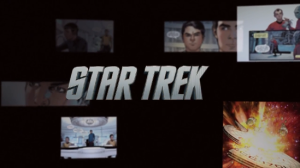 The motion book versions of Star Trek, My Little Pony and Transformers comics will reach a whole new audience." That partnership is part of a multi-publisher deal announced this morning that brings properties from Top Cow, BOOM! Studios and iTV to Madefire as well. The motion books publisher have been pushing the envelope as it pertains to original content in their first year, but this massive foray into licensing other people's content seems likely to put them really on the fans's radar, especially coming just ahead of Comic Con, where each of the publishers will have their own raft of big announcements--presumably for products that can now become motion comics through Madefire. Acccording to Madefire, the deal consists of IDW, Top Cow, and Boom! Studios bringing a select group of their most popular print titles—including Boom!’s Next Testament and 2 Guns and Top Cow’s The Darkness—and releasing them through the acclaimed Madefire iOS app and on the web exclusively through deviantART. "A primary goal from Day One has been to work with the top publishers in the print and entertainment space toward adoption of the Motion Book experience," said Madefire co-founder and CEO Ben Wolstenholme. "To launch with an elite group of publishers out the gate is tremendous and speaks volumes to their visionary approach to storytelling." iTV will be testing the platform with an original, digital-first series by Des Taylor called The Trouble with Katie Rogers exclusively on Madefire.